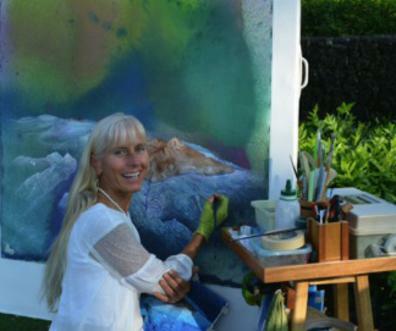 INTRODUCTION: As a conservation artist, social ecologist, landscape designer, long time Hawai’i resident, mother and teacher, my passion is to make a positive difference in Hawai’i. My calling is to help create a future that is even better than we can imagine. It is art, not information, to which the most powerful part of us responds. People need to see what is possible and feel that the future holds great potential for them and their children. Throughout all time and place, it has been powerful, meaningful art that moved people to awaken, evolve, and reach for a better life. Toward this goal, I am spearheading HAWAI’I GREEN SCHOOLS and SPACES (HGSS). The selected schools, parks, libraries, campuses, and public spaces will MALAMA HONUA ~ take care of the living Earth and the people by becoming sustainable, relevant, beautiful, resilient and alive! As ​Iokepa Naole proclaimed, ‘Now we all must be konohiki (skillful stewards) who take care of the land and the sea. As Chief Oren Lyons says, you want to take care of your children and your children’s children’s children, yet you will not be here ~ so take care of that which will take care of them - nature! To do this, we must have inspiring models to lead the way toward our healthy future. 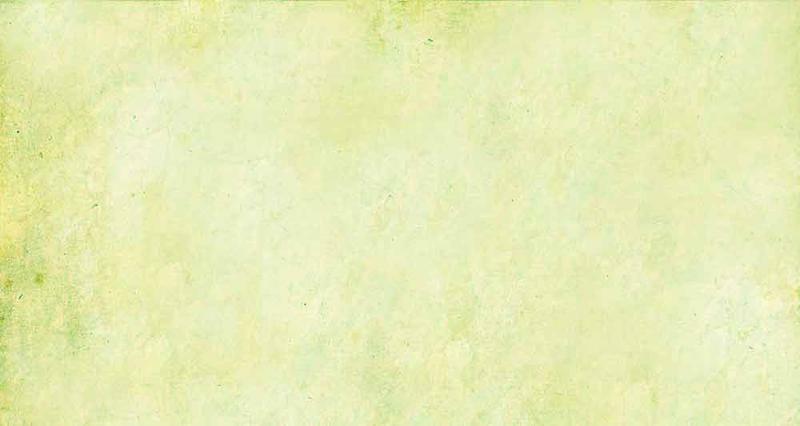 The key is integrating art, ecology, education, agriculture, and action. Currently, most people live far below their capacity to create, and children are educated far below their highest potential. There is so little eco-literacy that people have become fearful and easily manipulated. Local school grounds, constrained by liability fears, look more like prison yards than verdant ecosystems. HGSS students will actively contribute to their own health and that of their families, schools, communities, watersheds, and future generations through the power of their creativity, citizen science, and hana (work), transforming the land. 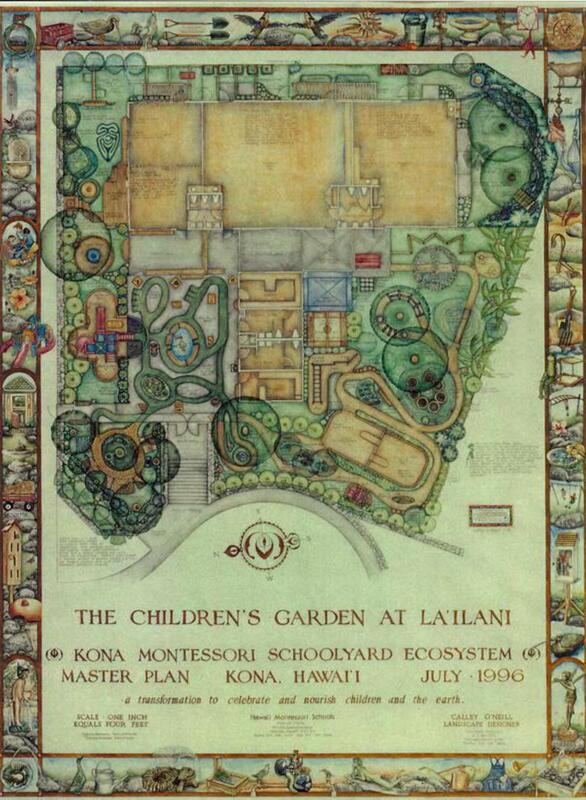 THE INSPIRATION: This work originated in my Master’s study in Social Ecology and subsequent integrated landscape prototypes such as E OLA KA’AINA (1980) A Center for Art, Agriculture, Ecology and Awareness. My recently completed Hawai’i State Foundation on Culture and the Arts Kipapa Elementary School mural experience launched the Hawai’i Green Schools and Spaces into high gear. Kipapa Elementary, an old Title I school in central Oahu, had no public art at all. 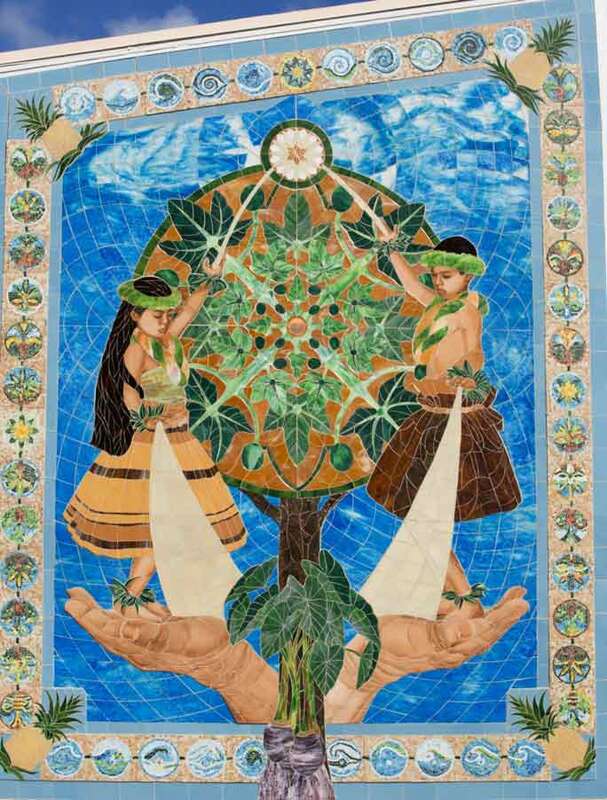 KIPAPA AND THE PATH OF LIGHT, the first stained glass mural in Hawai’i, is now an iconic landmark. It was created with 3,000 pieces of exquisite handcrafted glass, fused golds, and hand-painted fired figures. Students will be educated to understand, value and participate in the renewable energy and water use plan and the restoration of nature. The overriding vision is to create an abundant, sustainable future with plentiful, meaningful work for everyone. Based on traditional Hawaiian values, leading edge green practices and the power of public art, students will work together to transform their school into a replicable model of lokahi (harmony), aloha (unconditional love), malama honua (care for the Earth), kuleana (responsibility), kuha’o (self reliance, confidence), ho’ohana (work with intention and purpose), and ho’onani (creating natural beauty). The goal is to elevate the school into community leadership, and the land into an inspiring model of sustainable living and ecosystem restoration. With their new resources and spirit, the school will be encouraged to strive to fulfill the comprehensive requirements to apply for a DOE Green Ribbon School Award by reducing environmental impact and costs; improving the health and wellness of students and staff; and providing multi-disciplinary environmental education incorporating STEAM (science, technology, engineering, art, and math), civic skills, and green career pathways. One grade level will be chosen to create the mosaic border, another to design and build the landscape, another for the energy/water work, and one to design and install a small living wall. 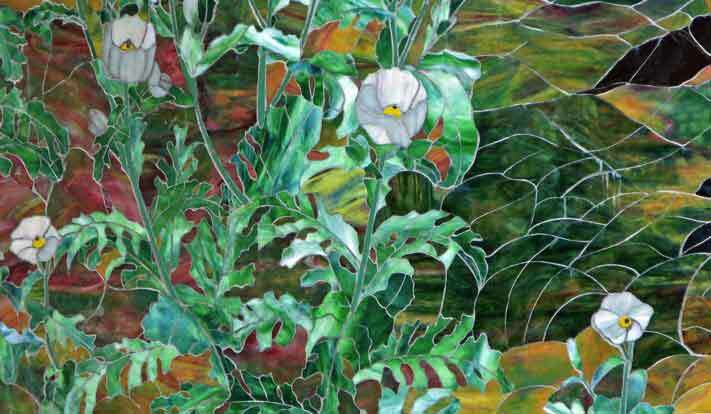 ART, ECOLOGY AND AWARENESS: STAINED GLASS MOSAIC MURAL AND A LANDSCAPE MASTER PLAN: : Based on the HSFCA Art in Public Places Program, the project will kick-off with several community-based design charettes for an exterior stained glass mosaic mural and schoolyard ecosystem design plan, giving visual expression and impact to the work. An EARTH Team will be established to spearhead the design process. Elegant, safe, durable, and impermeable, mosaics last indefinitely with no maintenance. REWILDING AND THE RESTORATION OF NATURE: EDIBLE AND NATIVE LANDSCAPING: Students will learn where their food comes from, and why it is so important it is to support local farmers and grow some food of their own. Based on their Schoolyard Ecosystem Landscape Plan, they will learn how to plant trees and re-wild borders with permanent edible and native landscaping, an ethnobotanical garden, and drip irrigation. In Hawai’i Green Spaces, Calley and team will work with the community to design and implement an ethnobotanical and native landscape. WASTE REDUCTION: Based on the Oregon Green Schools’ Comprehensive Waste Audit, a Green Team will be established with the help of a local solid waste expert. The team will direct a waste audit to determine what and how much garbage is being thrown away, impart that there is no ‘away’ (especially on an island) and determine what garbage can be eliminated, reduced, upcycled, re-purposed or recycled. Immersed in their work, Kipapa 4th graders and a diverse group of adults concentrate on work on the border. THE RATIONALE: We stand at the crossroads. Given extreme loss of biodiversity, serious climate and ocean changes, reef degradation, and the fragile state of nature in island ecosystems worldwide and Hawai’i in particular, we must accelerate our work in recreating a life in harmony with nature. We need a big, new, powerful story and vision. Art can move people into a new level of awareness and the action needed to evolve a robust society. Our actions will determine the quality of life on Earth for the foreseeable future. Yes, we must become konohiki once again ~ on behalf of our infinitely beautiful, infinitely fragile home, which will nurture our children’s children’s children when we are no longer here. It is essential to create many more powerful works of art, energy, and nourishing landscapes at a much faster rate than the state can possibly facilitate. THE VISION: In schools, community centers, libraries, and parks, we will create the most potent public art, landscape ecosystems, and compelling models of our sustainable future possible. Through transforming schools, communities evolve. When children learn through the joy of creating, they learn profoundly, as do the adults around them. Educate the children, and activate the community. The fusion of art and ecology can effectively help build resilient communities, by creating landmarks that uplift local consciousness and attract visitors who support local culture, food, and business. Relevant public art has the potential to catalyze a community toward a vibrant vision of a bright future for their children. We must actualize our deepest love for life. LOVE WHERE YOU LIVE! That is the solution. Beautiful green places will enable us to gather, build community, and express our love of where we live. THE PROGRAM: After launching Honoka’a High and Intermediate School (HHIS) as the first pilot school and (we propose) Lanakila Park in Waimea as the first public space, HAWAI’I GREEN SCHOOLS AND SPACES will be developed as a competitive program whereby public elementary and middle schools, community centers, and libraries will be invited to apply to be selected as a HAWAI’I GREEN SCHOOL/SPACE. These two pilots have been selected on the basis of need, potential impact. The criteria will also include a commitment to ecological ideals and literacy, a pledge to develop sustainable living curriculum/activities, and the leadership capacities to evolve a model school for Hawai’i. 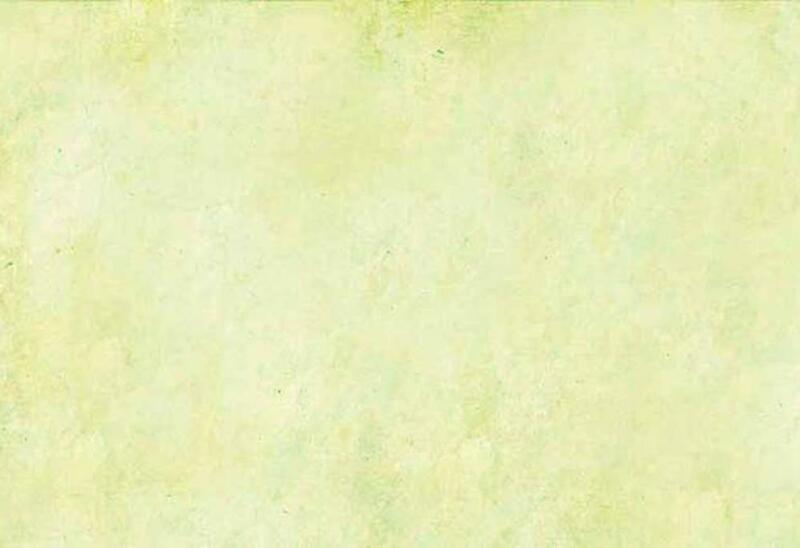 HHIS will become part of the Green Schools National Network (GSNN) and commit to the five Green Print Core Practices, involving the school and community in fulfilling far-reaching, long-range transformation in five areas to reduce the school’s environmental impact, energy, water and resource use and costs, and improve the health, energy, and future of their students. ENERGY EFFICIENCY AND INNOVATION: Visibly improving energy efficiency and renewable generation in schools stimulates the community. With the help of a local energy specialist, Green Power Team of staff and students will be established and trained to conduct an energy audit/analysis, and green energy plan. The strategy will include low and no-cost conservation, a student built PV solar system, increased day lighting, natural ventilation, green power, and fundraising through an Adopt-a-Green-School program. WATER CONSERVATION AND INNOVATION: : Waiwai (water twice) means wealth in Hawaiian. Based on the National Environmental Education Foundation (NEEF) Eco-Schools USA Water Audit, the school’s water use will be analyzed to identify and correct waste and inefficiency. Students will learn where their water comes from, the name, ecology, and history of their watershed, the status of local water resources, how much water the school uses, its cost, where ‘waste’ water goes, how to reduce water usage and cost, and how to safely re-use water through simple biological filtration for irrigation. RECAP: Comprehensive, compelling, and overflowing with potential, HAWAI’I GREEN SCHOOLS and SPACES has the potential to help Hawai’i move toward an abundant, healthy future in harmony with nature. While our islands are vulnerable to food, water, and energy shortages, pollution, loss of biodiversity, climate and ocean change, the wisdom of our root culture fused with the technology, talent, and energy that abound here will create a future that is far better than we can imagine. Our sustainable future rests upon our students becoming leaders, our communities becoming strong, resilient, and connected, and our school systems and parks becoming living systems. Since I became aware of MALAMA HONUA, THE WORLDWIDE VOYAGE (WWV), it has been active in my imagination. I am compelled to create an iconic community-based stained glass mural amplifying the message of this epic journey ~ TAKE CARE FOR OUR MOTHER EARTH. Imagine the beauty of the late Lt. Colonel Lacy Veach’s fleeting vision of the Hawaiian Islands and the whole Earth she witnessed from the window of the Space Shuttle Columbia in 1992. That glimpse sparked a life-changing realization that our Earth is an island in space. “Infinitely beautiful. 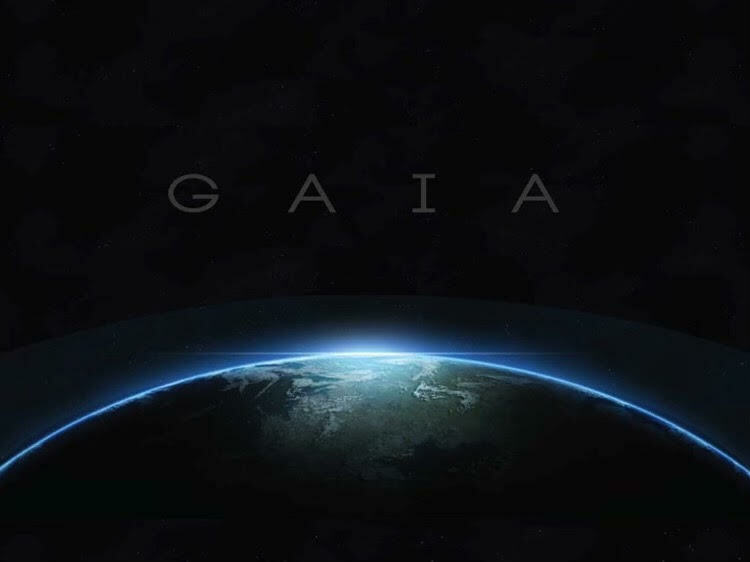 Infinitely fragile.” This moved her to call her friend, Master navigator Nainoa Thompson from the space shuttle, to urge him to create a worldwide Hokule’a Voyage to teach the children to MALAMA HONUA – CARE FOR OUR MOTHER EARTH. For years I had been curious about the empty place at the center of Waimea ~ Lanakila Park. I had often wondered how this vacant little treasure might come to life. Contemplating this, the inner vision that appeared is what every artist lives for! Suddenly, I envisioned the park transformed by a magnificent iconic stained glass mural connected to a ‘green’ halau (replacing the gazebo) expressing the call of THE WORLDWIDE VOYAGE. This park would state (as some leading green buildings do) you must walk or bike here in order to spend time. Lanakila Park is highly underutilized. Imagine the gazebo transformed into a halau for cultural, ecological, and spiritual renewal, a place to pause, and enjoy the changing light on the mosaic ~ a lively tribute to Elizabeth Lanakila Dowsett Parker and our healthy future. The new low-maintenance border will be filled with native plants and the food and fiber plants that can still sustain and nourish the wa’a (the canoe, the island, the community, the Earth). The design process, mural border, and planting will engage hundreds of local children and adults. The detailed design painting will become a large poster on recycled stock for Hawai’i classrooms and worldwide outreach. Encouraging WWV images in Hawai’i classrooms is the first priority in the Waimea Education Hui’s four WWV educational initiatives 2014/15. Moku o Keawe: LOVE WHERE YOU LIVE. With immense collective wisdom and experience, the Big Island is at the leading edge of the Hawaiian renaissance and local food production, and deserves to evolve to the leading edge of innovative sustainability, renewable energy, public art, community resilience, health, and vitality. FUNDING: Please join us! We want your direct participation and support. The mural and first stage of the greening will require $155,000. We will use these funds to procure matching grants to advance the sustainability and landscape plan. As our Angel Benefactor, you are invited to work along with us and you will be honored as a hero of our community. Your contribution will make a difference for thousands of students and an entire community. Your family name will become a permanent part of the mural, and you will be honored at the dedication and on a plaque on the school. You will know that in helping one school, you positively impact all schools. A bright future benefits your children and grandchildren. We must rise together! There is great work to be done now. The potential is incalculable as are the benefits to children and all life. One cannot underestimate the power of art and abundance to create swift positive social and ecological change, and help create a healthy future.